P1 Edoardo Liberati (Team Ghinzani). "I cannot be but happy. I had a very fast car. In free practice I did not aim at the best time because the team and I wanted to work to the best setup solutions. In the final of the sessions I was lapping constantly below the 1'05'' limit and when I saw I was in P2 I did not think about it twice. I put a bit of space between myself and the other slower drivers, I made my tyres and brakes cool down and I started for three more fast laps. This was because on this track, with these conditions one needs three laps to get the most out of tyres. At the end I got the pole and I am happy, especially because the team and I were certain of having worked in the right way". P2 Sergio Campana (Lucidi Motors). "I gave my best, in the last few minutes I tried to improve my provisional pole but someone managed to be faster than me. He has been good but the race is tomorrow". P3 Raffaele Marciello (Prema Powerteam). "Starting third in my first Formula 3 race is a very good result. I am first of the rookies but I would have wanted something more. In my last attempt I found a car stalled in the trajectory and I had to slow down. That was a real shame as I already set my best first two sectors in that lap ". P4 Kevin Giovesi (Lucidi Motors). "Think about the fastest time I set this morning I would have hoped for something more. The track changed quite a lot this afternoon and the car had a different behaviour. The second row is a good result anyway as the times are all very close with each other". P10 Facu Regalia (Team Ghinzani). "I am not happy. I thought I would have not had too many problems in getting into the top 5 but I had bad luck with the second set of tyres. At lap 3 I found a car in the trajectory and I had to slow down. If I had continued with the rhythm I was having I think I would have got at least the second row". P11 Daniel Mancinelli (RP Motorsport). "I am very disappointed, I cannot hide it. We have all the extenuations of the case as we tested less than the others and therefore we start with a bit of handicap. We have to look at things with this perspective. Three tenths less and I would have finished fourth ". P13 Jesse Krohn (RP Motorsport). "I think we are paying our lack of testing to our rivals. I was basically idle for six months, then I took part in some sessions but very far apart from each other. It is not easy to sit in the cockpit and set fast time since the beginning. We have a lot of work to do". 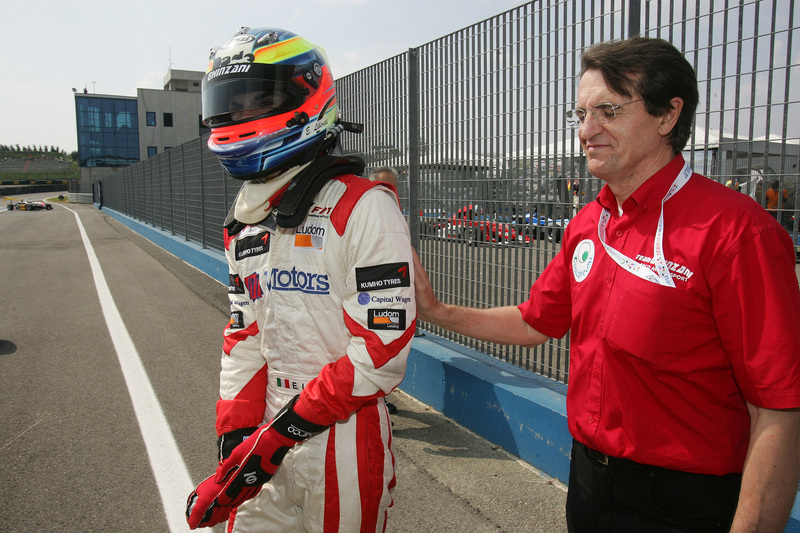 Pier Carlo Ghinzani (Team Ghinzani). "We did a very fruitful job starting from pre-season tests. Now we are harvesting the results of it. I am happy for Edoardo's pole position but I also believe Facu would have deserved a bit more. He certainly prefers faster circuits but being a rookie it is not easy to manage his performance in a championship were 14 drivers are within a second. Just a small error and a couple of tenths are gone and 3 or 4 positions with them. In the next races he will get up to the top too".